PVC Carports will not crack, rust, fade or rot. 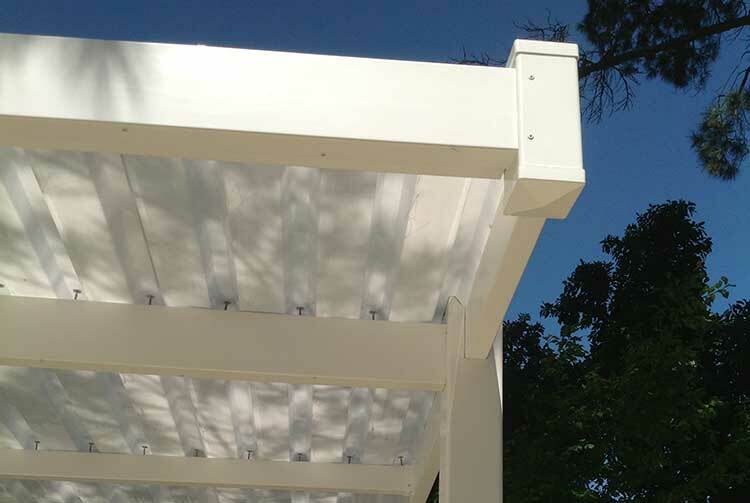 Add value to your property with a Custom Absolut PVC Carport. 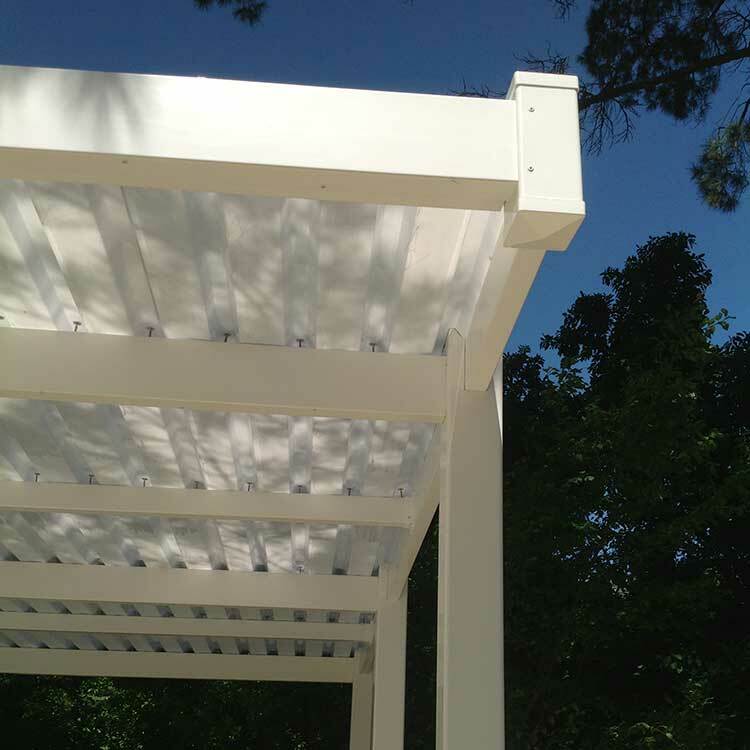 The Structural support system is designed to facilitate a Poly Carb Roof Sheeting application or a dappled shade application depending on your requirements. We use an Industrial Poly Carb Roof Sheeting in Opal White which provides 40% deflection and is also supported by a 20 year guarantee. The Absolut PVC Carport is such a terrific concept it’s no wonder we have become the preferred supplier at the BEECHWOOD ESTATE and the SOMERSET LAKES, which ae currently under construction. 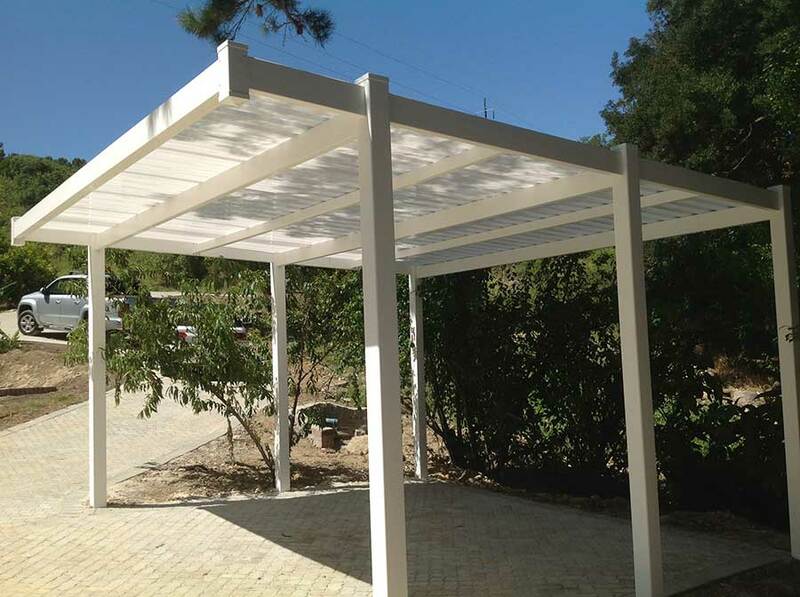 The Absolut PVC Carport is supported by a 20 year Guarantee, which ensures that the product will never rot, chip, peel or discolour (UV protected formulation). The Guarantee also undertakes that the product will not crack under extreme weather conditions being hot or cold. 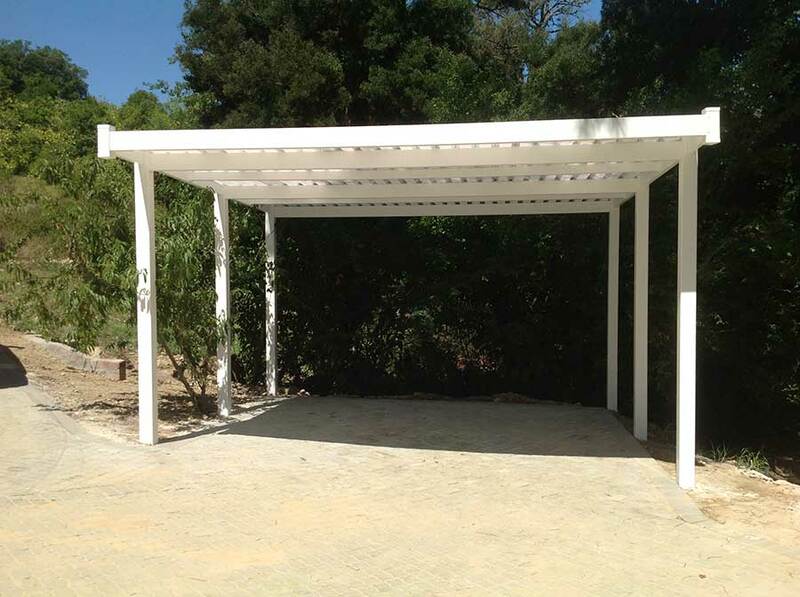 Single Carport 5.0 m x 3.0m: Double Carport 5.0 m x 4.8m. We will naturally manufacture to your custom specifications. 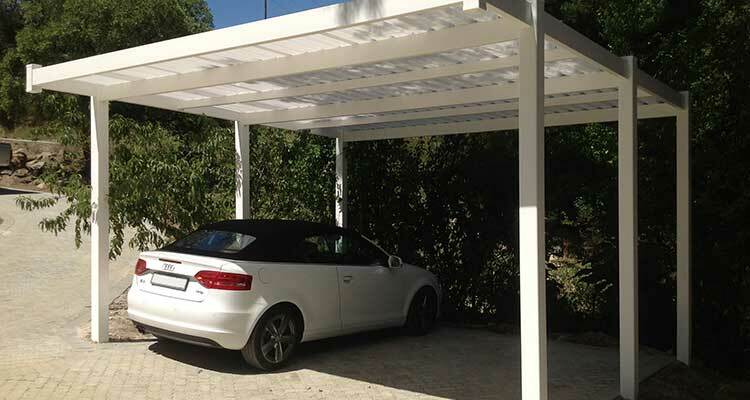 The Absolut PVC Carport is supported by a 20 year Guarantee, which ensures that the product will never rot, chip and peel or discolour (UV protected formulation). The Guarantee also undertakes that the product will not crack under extreme weather conditions being hot or cold.